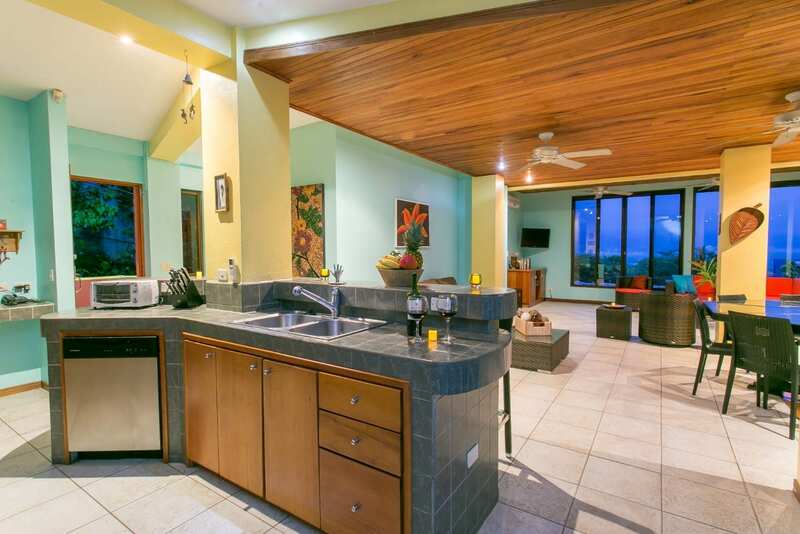 0.7 ACRES – 5 Bedroom Ocean View Home With Pool And INCREDIBLE Rental Income!! 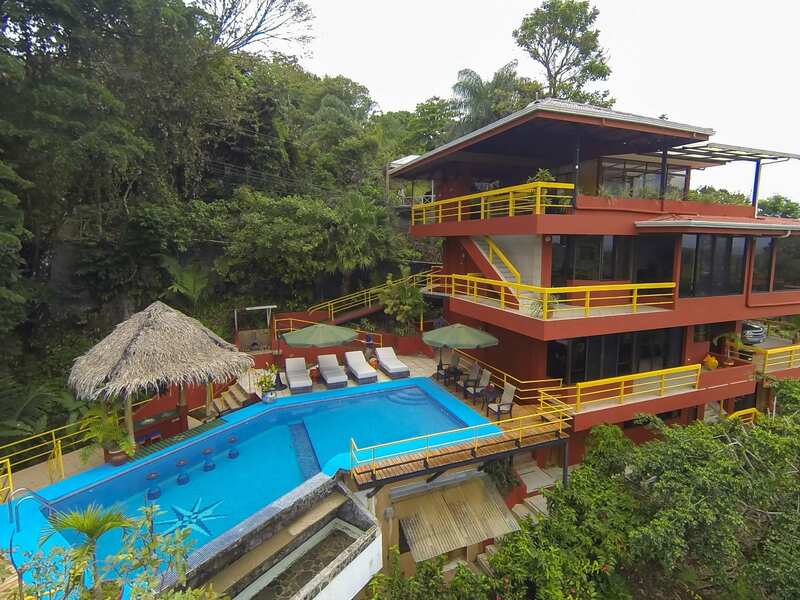 Living Space: 5,200 sq. 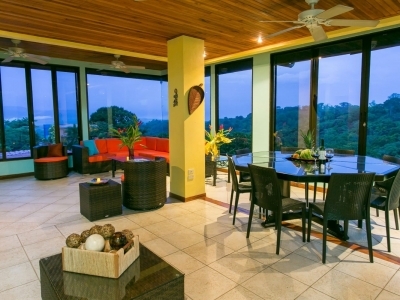 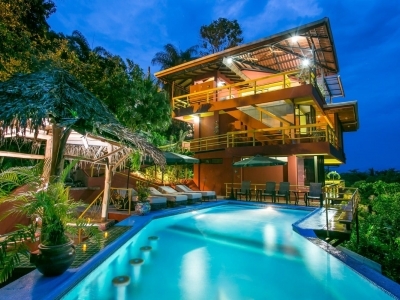 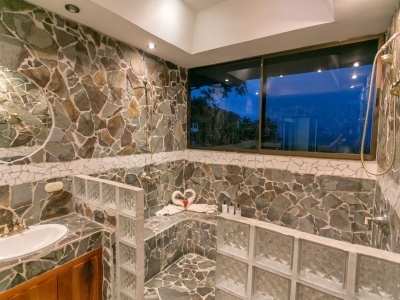 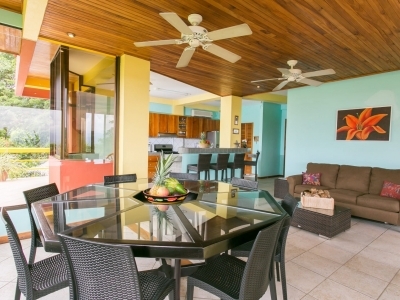 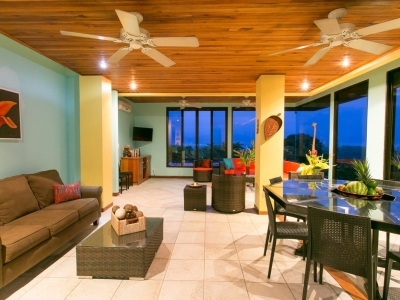 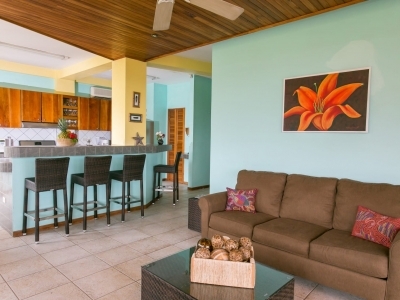 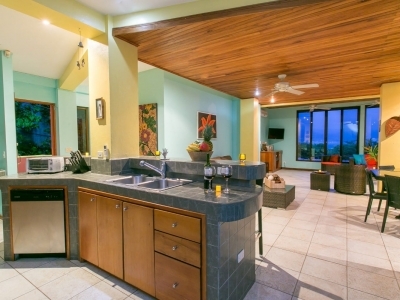 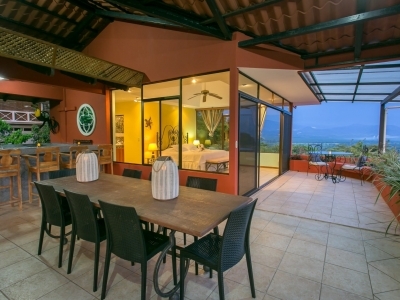 ft.
Villa Grande is quite simply the BEST deal on a luxury vacation rental here in the Manuel Antonio area. 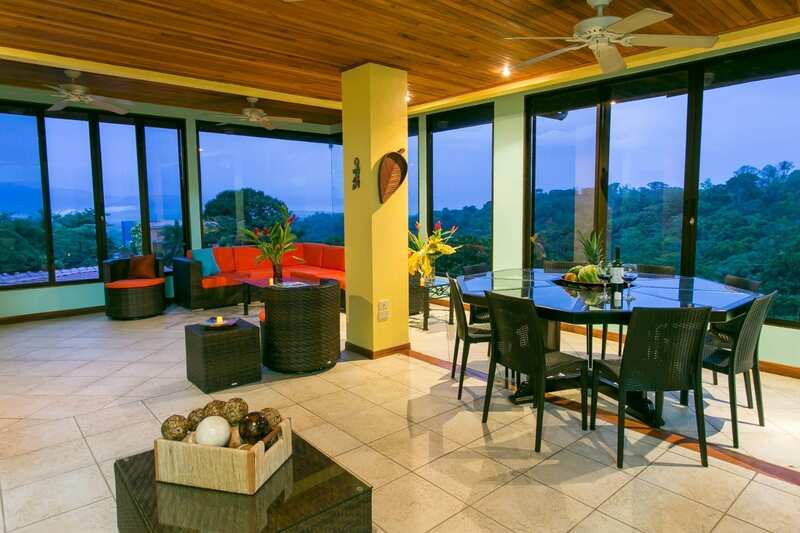 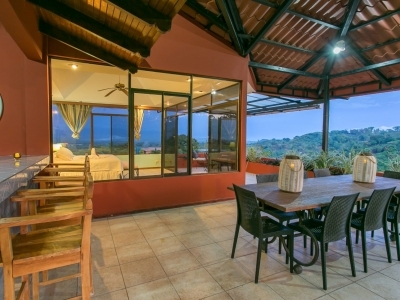 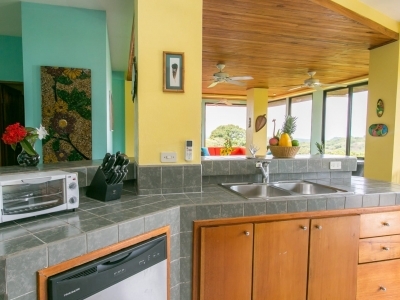 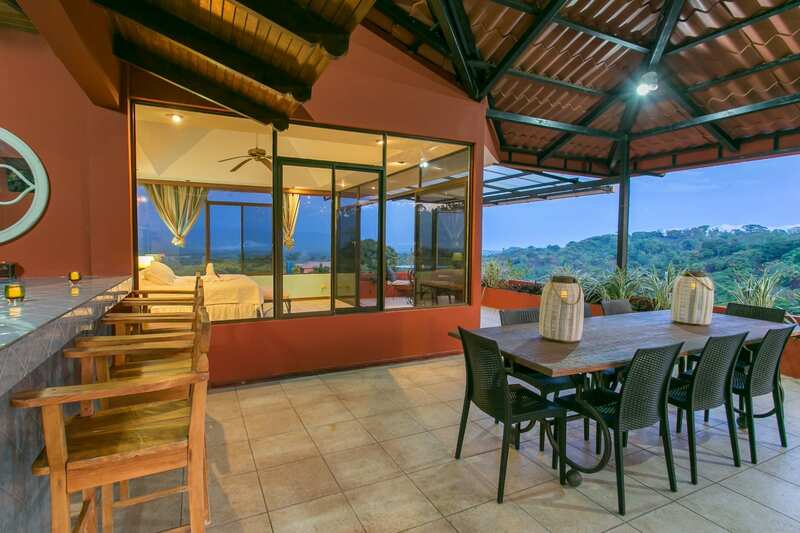 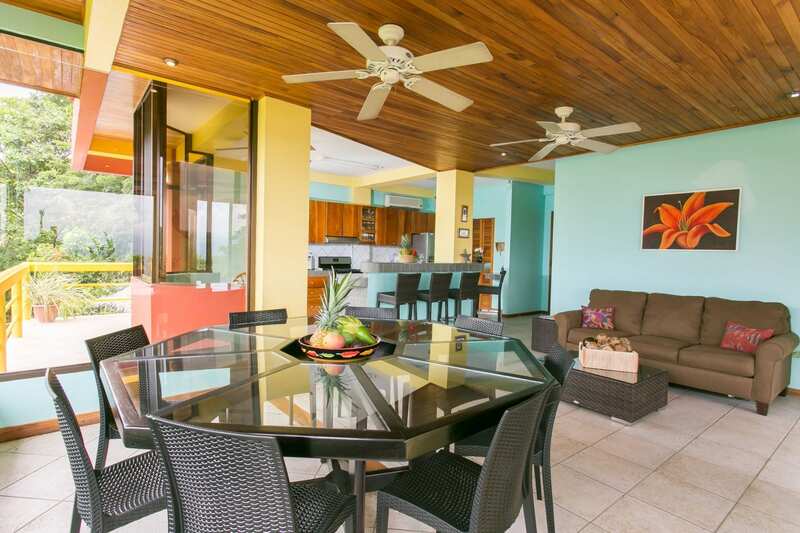 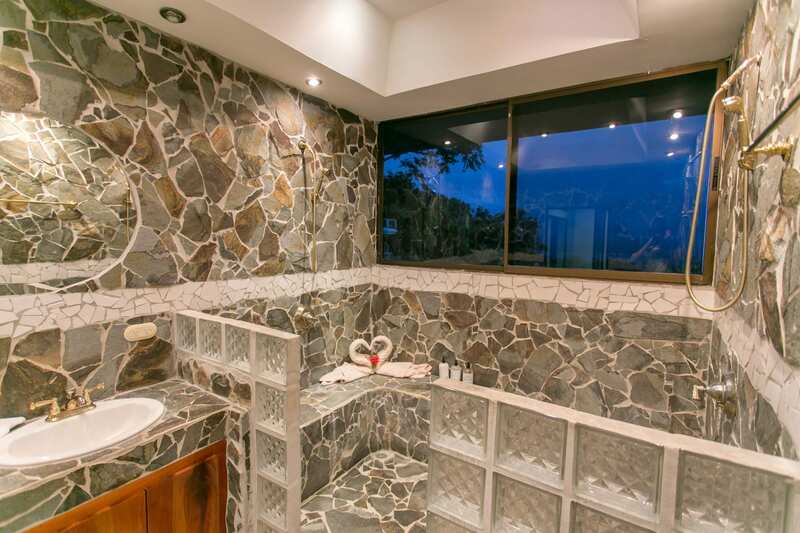 This 4 level home is nestled into a quiet neighborhood on the south side of Manuel Antonio providing a serene setting which is just minutes from all the activities, restaurants and services of the area, but also in a world of its own. 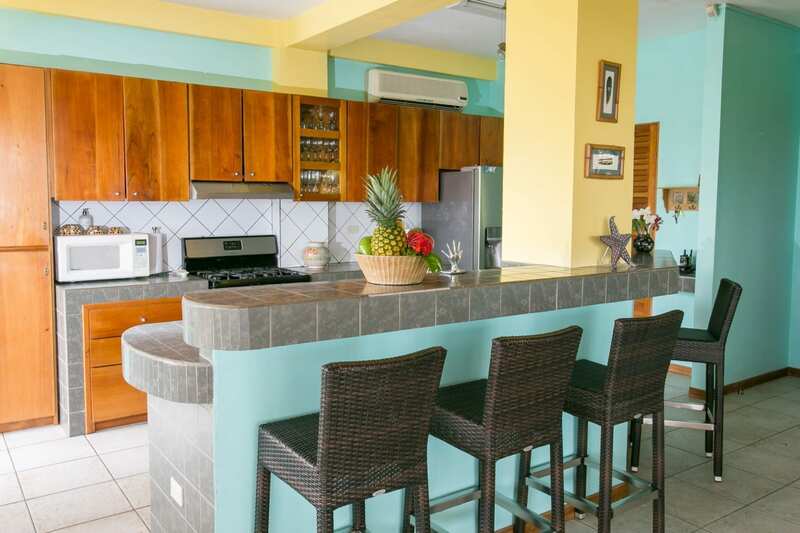 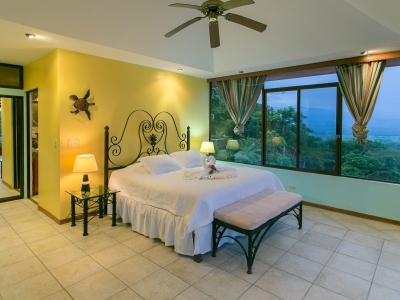 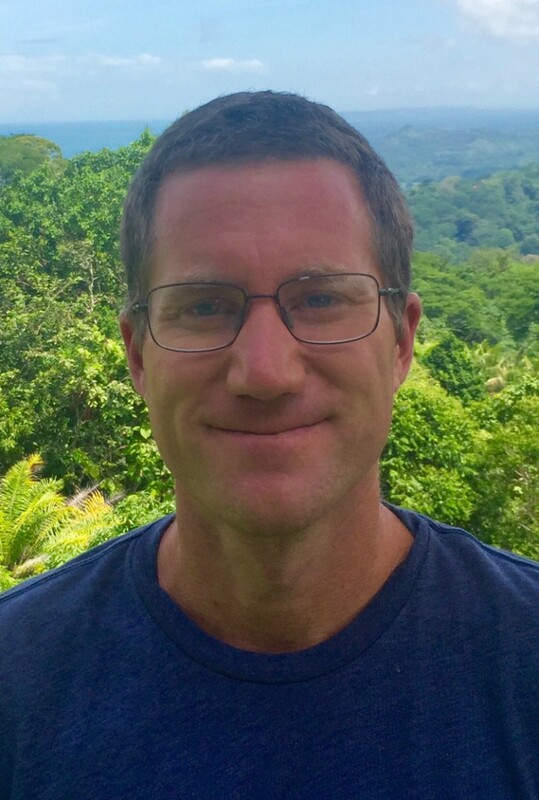 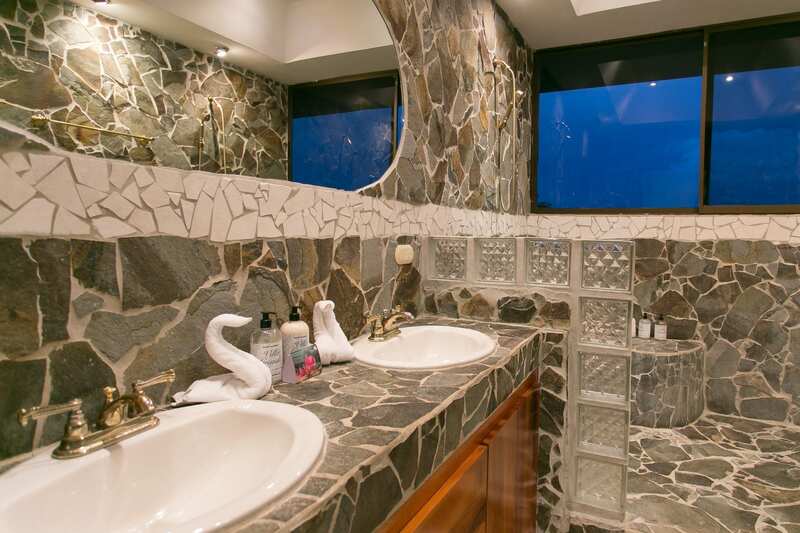 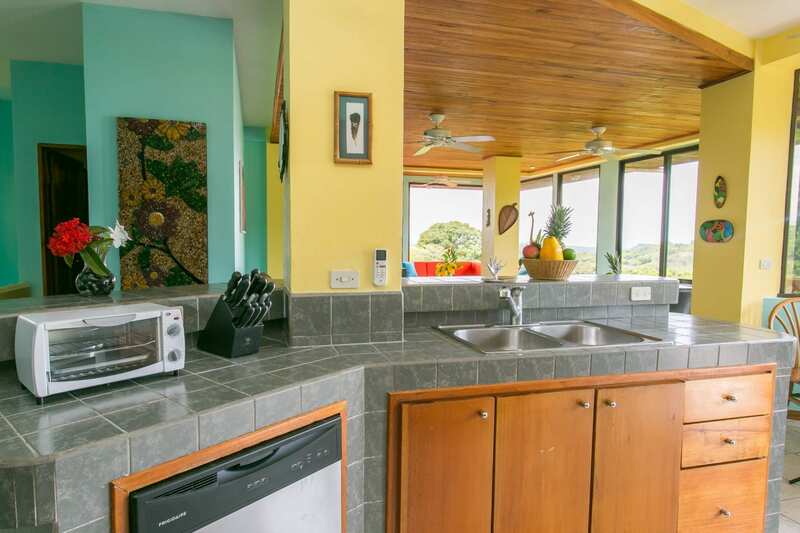 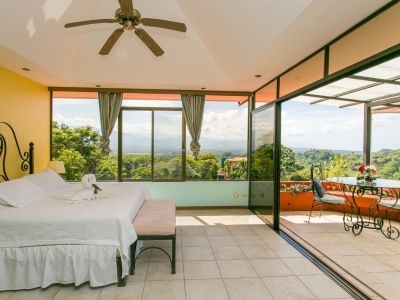 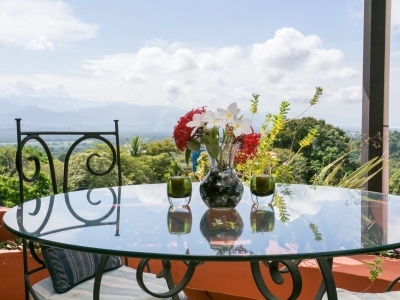 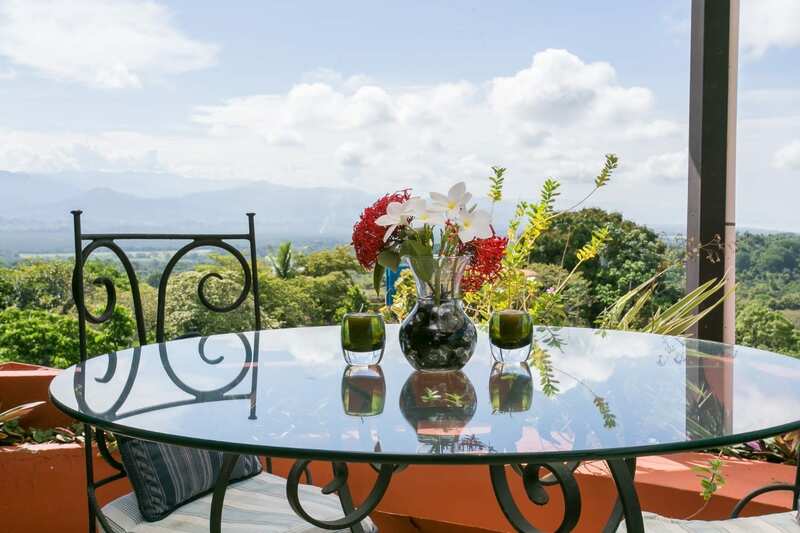 The views from every level and area of the home are panoramic and take in the Southern Pacific Coastline down to Dominical, the Naranjo and Savegre River basins as well as sweeping views of the majestic Fila Chonta mountain range. 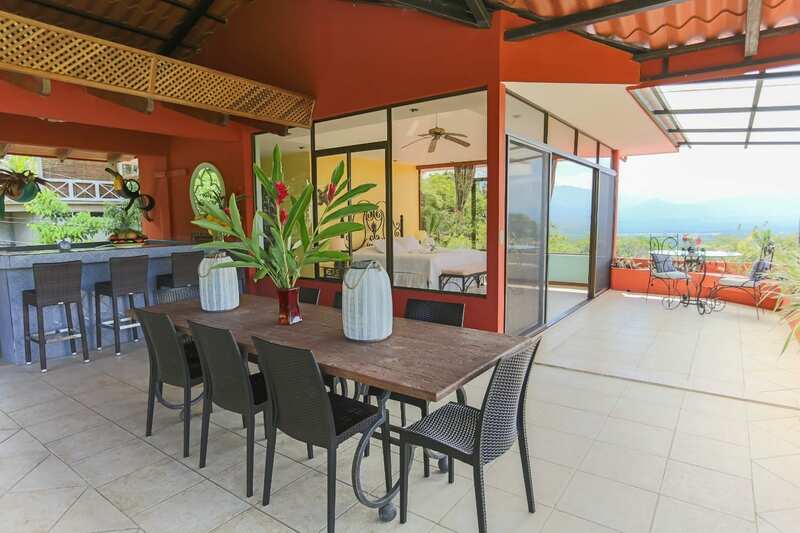 The home is ideal for families and groups with the lower level offering up a total of three bedrooms and three bathrooms. 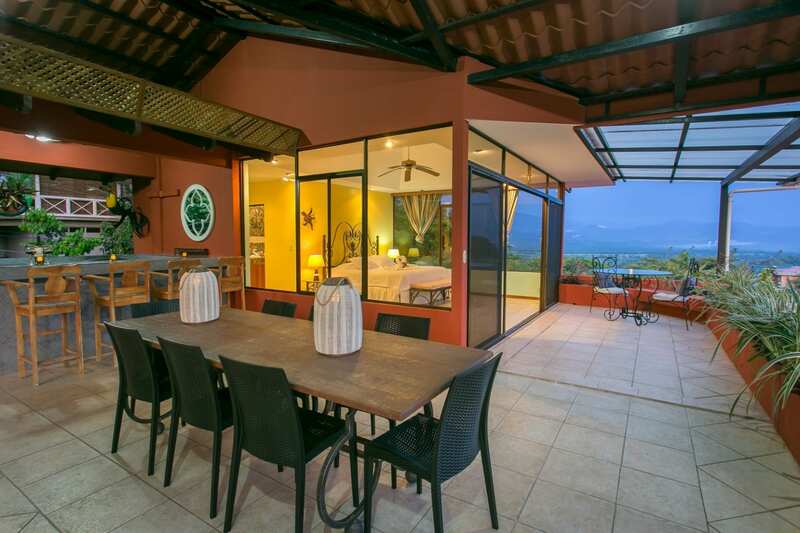 Two of these are HUGE bedrooms, each with multiple beds and the ability for entire family or groups to stay in one room and the third bedroom is a one bedroom studio just under the pool area. 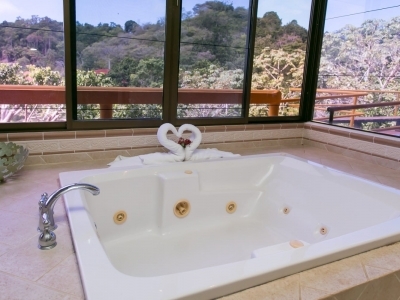 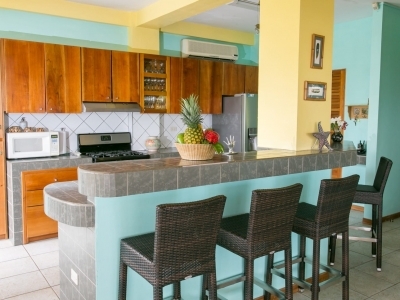 Up one level is one of the twin master suites which is located off the pool deck and main road level which is a spacious suite with large ensuite bath complete with jacuzzi tub. 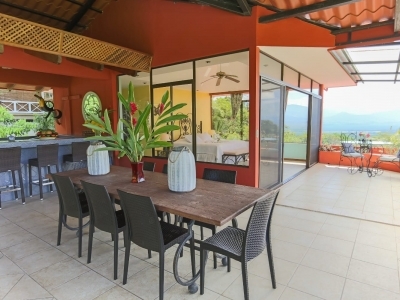 On the third level, which is just one above the road and master is the spacious open air kitchen, living and dining area. 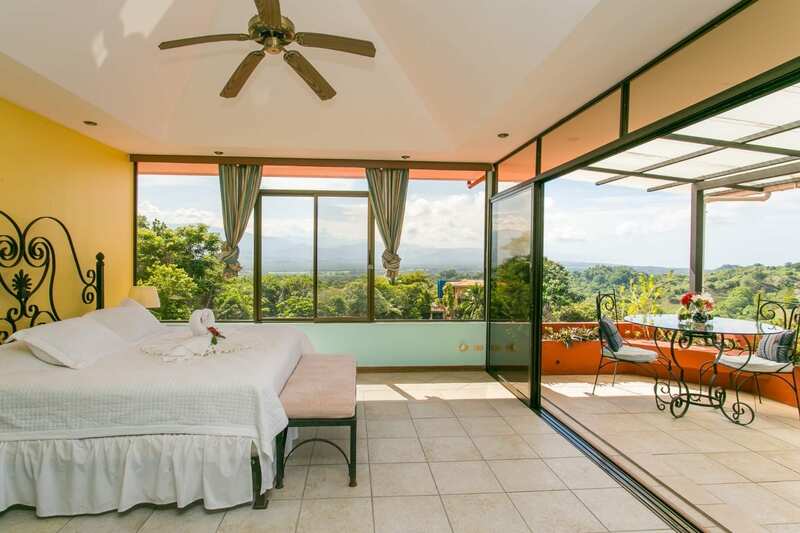 This space, which is encased in glass and with jaw-dropping views of everything has direct ramp access down to the pool areas as well as internal or external access to the two master suites, one below and one above. 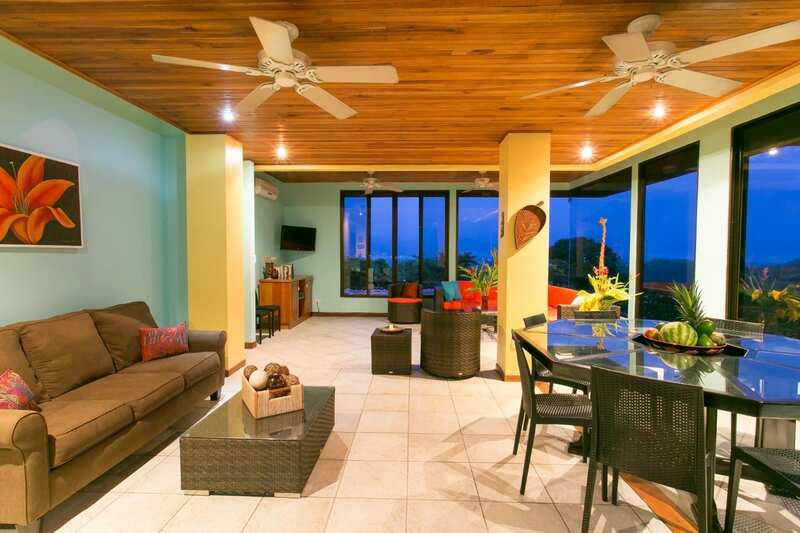 The top level of the home has a fully covered roof top deck, grill, bar and dining area, as well as a full one bedroom suite with custom bathroom. 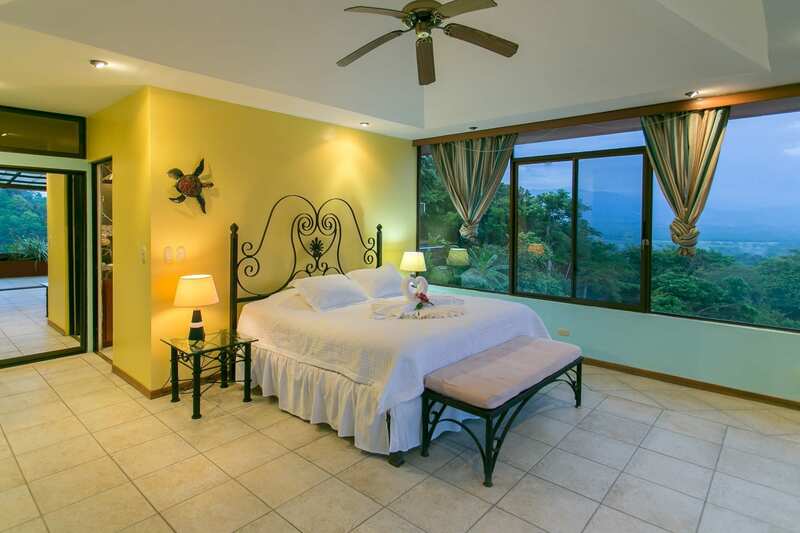 Every room and level of the home offer beautiful views, privacy and are large bedrooms. 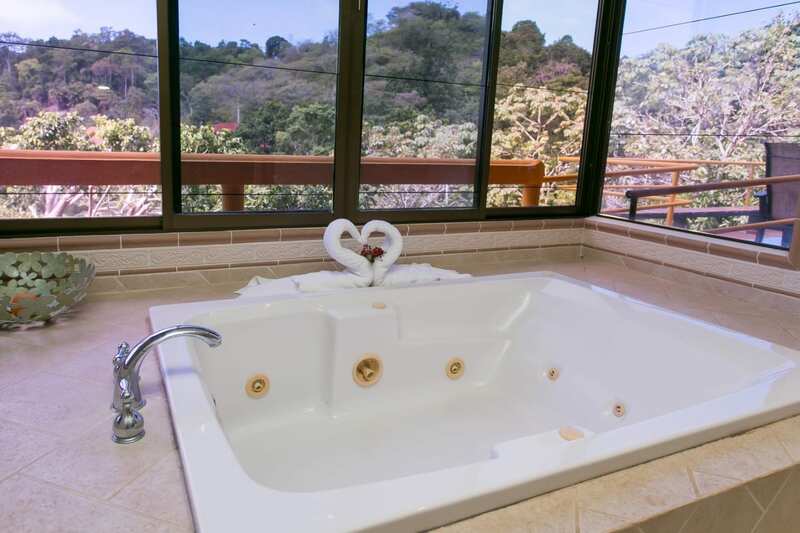 All of the rooms and common spaces all lead to the amazing pool, deck and rancho which is designed to take in the views, marvel at the local wildlife which visits the home daily and enjoy. 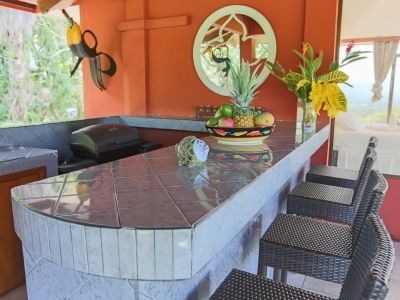 It is one of the large pools in the area, complete with an infinity edge and swim up bar and is the ideal spot for all the guests or families to get together and relax. 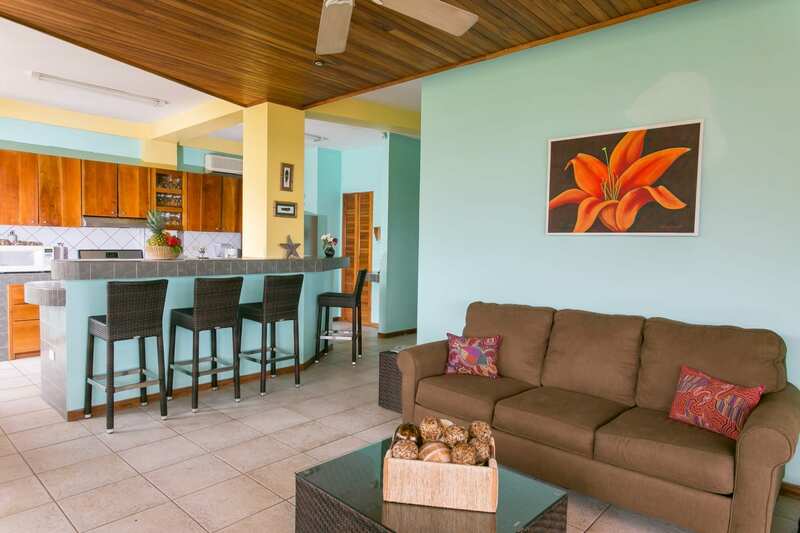 Villa Grande has been refitted with energy saving lights, air conditioning and pool pumps and is one of the areas most lucrative and popular rental properties. 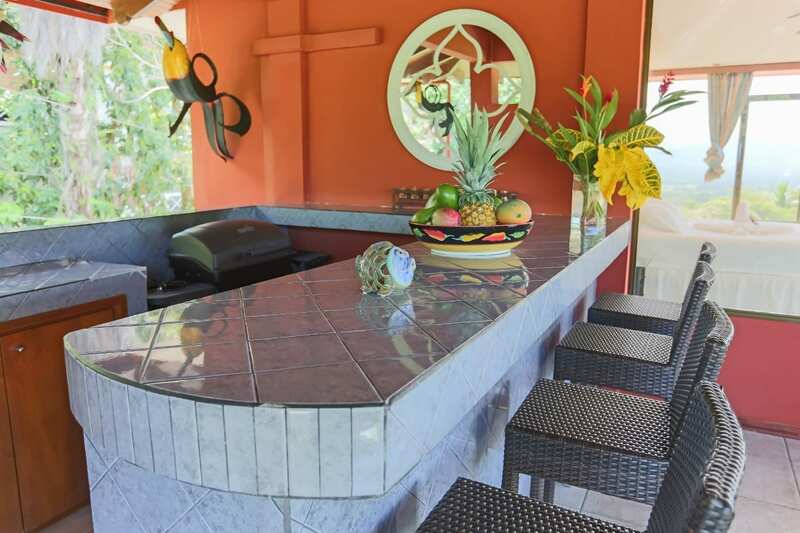 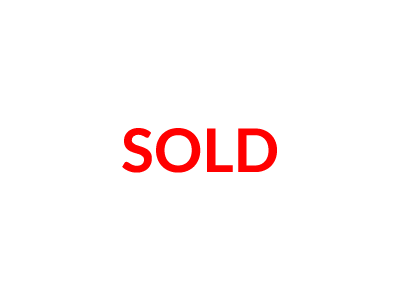 The home is being sold at a tremendous value and has some of the strongest ROI of anything on the Pacific Coast. 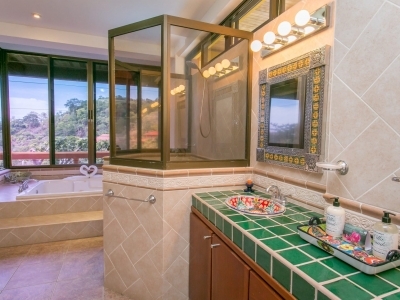 A turn key ready machine and a beautiful space for personal use, family or full time living as well.